Tim Flannery examines how Europe’s deep past might inform the future in Europe: A Natural History. Tim takes readers to a prehistory when hippos swam the Thames and giant carnivorous hedgehogs roamed Italy. Tim Flannery is a paleontologist, explorer and conservationist, a leading writer on climate change and the 2007 Australian of the Year. He is currently chief councillor of the Climate Council. 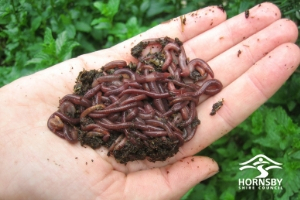 Do you need to refine your composting or worm farming skills? Come along to this special event held during International Composting Awareness Week and learn how you can give your compost a boost. You’ll leave equipped with all the tips and tricks to get the most out of your compost system. Each participant will receive a voucher for a half price compost bin, compost turner or worm farm. A free visual marketing workshop for local small businesses to attend with the potential to win a follow up consultation in your store, with a visual marketing expert. Travel the world using Google Earth with tablets provided by the library. Find out how to set yourself up, use the controls and navigate. Free virtual visit to Paris included! 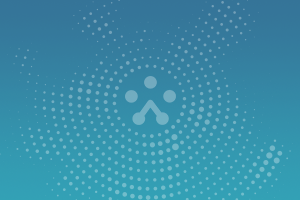 Relationships Australia NSW, offer services that include counselling, family dispute resolution, and a range of family and community support and education programs. Relationships Australia is a leading provider of relationship support services for individuals, families and communities. We aim to support all people in Australia to achieve positive and respectful relationships. This talk provides information about common online, phone and door-to-door scams and how to identify them. It provides practical tips on how to avoid scams and how to report scams to authorities. A lawyer from Legal Aid will present this talk. Making a will and appointing a power of attorney or enduring guardian are important decisions. Come along and hear Cecilia Castle of Castle Lawyers answer key questions including: •	When do each of these documents apply? •	What is the law in relation to these documents? •	Who should have them and who should be appointed? •	Do you need legal advice in relation to these documents? Blackly comic, sharply observed and wonderfully endearing, this is Picnic at Hanging Rock for a new generation A haunting coming-of-age story with a shimmering, unexplained mystery at its heart, The Van Apfel Girls are Gone is set in a distant suburb on the encroaching bushland, over the long hot summer of 1992. It's the summer of the school's Showstopper concert. The summer Tikka never forgot. 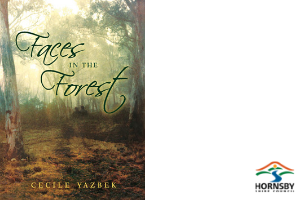 The summer the Van Apfel sisters disappeared. Come and enjoy “Alpacas with Maracas” by Matt Cosgrove and be entertained by our talented performers. National Simultaneous Storytime is an annual event organised by the Australian Library and Information Association. Each year on a nominated date and hour, children all over Australia read the same book. The event aims to promote the value of reading and literacy for young people. Whenever society produces a depraved criminal, we wonder: is it nature or is it nurture? When the charlatan Alicks Sly murdered his wife, Ellie, and killed himself with a cut-throat razor in a house in Sydney's Newtown in early 1904, he set off a chain of events that could answer that question. He also left behind mysteries that might never be solved. 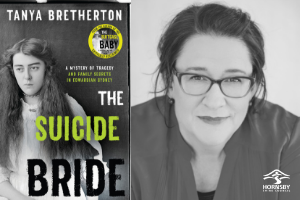 Sociologist Dr Tanya Bretherton traces the brutal story of Ellie, one of many suicide brides in turn-of-the-century Sydney; and her family. This session introduces using the internet. Explore using a browser to view websites, creating bookmarks and copyright. Find out how to fill in forms online. Do you have a passion for books? Would you like to start a Book Club, but don't know how? Book Clubs are a great way to share your passion for reading. Come along and find out how to run a Book Club with organising tips, book selection ideas, meeting tips and how your library can assist you by providing Book kits. Come and join us in a coding adventure were you will be able to create your own software projects and closely guided through creating your own game and animation! Parents and carers are invited to join their kids for a fun and stimulating session. Let your imagination soar in this stimulating and interactive session were you will be able to construct amazing 2D animal mosaics and technical models with motors and batteries. Let your imagination soar in this stimulating and interactive session were you will be able to construct amazing 3D animal mosaics and technical models with motors and batteries. This workshop is designed for children who would like to learn both drag & drop coding using Scratch online platform and text based coding using Java, the most popular object oriented programming language. This workshop is designed for Y6-Y8 students and no previous experience is required. Laptops are provided. Discover the exciting world of robots. Activities will include sumo robots, boxing robots and soccer-playing robots. Build a robot obstacle course and learn some simple programming with Ozbots and Cubetto. This session is not to be missed! Menopause can impact a woman’s health, relationships, daily functioning, career, mood and emotions, and can profoundly impair her quality of life. Understanding the connection between hormonal changes in the female body, the brain and the gut provides us with the fundamentals for transitioning through what can be a challenging time for many women. Dr Nicola Gates breaks the silence surrounding menopause, building understanding, compassion and reassurance. A four week program aimed for 6 to 8 years young scientists presented by the Children’s Discovery Museum. Participants will be able to learn and explore themes from different branches of science through numerous practical experiments. Join Greg the online safety expert from Be Connected to learn more about safer online shopping and banking. Ask about your privacy and security concerns and find out where to go when things don’t go as planned. From toddlers to teens, this comprehensive seminar covers all the essential information you need to empower yourself and your kids in managing a wide variety of online issues. Presented by the Office of the eSafety Commissioner. Australia’s favourite maths teacher is on a mission: to show us that maths is everywhere and for everyone. Eddie Woo’s passion and ability to communicate ideas, facts and theories with humour, both inside and outside of the classroom, has seen him amass a legion of fans. Videos on his Youtube channel ‘Wootube’ have been viewed more than 18 million times. He has been shortlisted as one of the Top 10 teachers in the world. Children 12 and under must be accompanied by a ticket-holding adult. An information session on Diabetes, presented by The Hornsby Diabetes Support Group, the afternoon program includes a guest speaker and afternoon tea. Authors of Quitting Plastic: Easy and practical ways to cut down the plastic in your life With billions of pieces of plastic floating around in our oceans, we need to change the way we live. But where do you start? Clara and Louise have drawn on their own experience of reducing the plastic in their family for over a decade to create this conversational guide for anyone looking for alternatives. This workshop features a vibrant, awe-inspiring presentation, interactive display and each child will make a native bee hotel. Suitable for children between 5-12 years of age. Please note children under the age of 12 must be accompanied by an adult. Learn how to draw Manga characters like a pro with artist, Matt Lin. The Light Horse Ghost is a new Australian novel that addresses the trauma of a returned soldier from World War I; a young woman’s journey to adulthood and issues of historical treatment of Aboriginal, Asian and Afghan people. We follow the life of Iris, a sixteen year old girl and her family in Kalgoorlie Boulder, in the Gold Fields of West Australia on the home coming of her father Albert from 1918 to 1921. A ghost of a horse follows Albert home. A NAIDOC Week event. Exhibition title: “Self reflection, healing, growth, spirit” Jodie is a proud Gamilaraay woman, originally from Narrabri, NSW. Her artwork is a modern style, combining her Aboriginal heritage with her spiritual beliefs. Each piece tells a story with a heartfelt meaning behind it. Children will learn to draw Pokémon characters under the guidance of brilliant artist, Matt Lin. With lots of awesome tips and plenty of fun, this workshop will leave you inspired. Ages 7 & up. Come along and learn how to share your stories and experiences through writing. In this workshop you wil learn tips and techniques that will assist you to adapt your own life stories into an unforgettable memoir. Find out what email is, how to create an account, how to send & receive emails, plus get tips on safety and security. As a Chinese Australian, Monica Tan wondered she how could she ever feel she truly belonged to a land that has been the spiritual domain of Indigenous Australians for over 60,000 years? This is the account of Monica’s journey through some of Australia's most beautiful and remote landscapes. She shared meals and conversations with miners, grey nomads, artists and farmers from across the nation: some Aboriginal, some white, some Asian, and even a few who managed to be all three. Presented by the Department of Fair Trading Topics include: •	Buying into a strata scheme •	Strata managers and building managers/caretakers •	by-laws: review, pets, parking, AIRBNB, smoke drift and breaches •	New developments, collective sale and renewal •	Meeting procedures of the Owners Corporations and the Strata Committee •	Repairs/Maintenance/Alterations. Happy people live longer, have stronger immune systems and have improved coping skills. 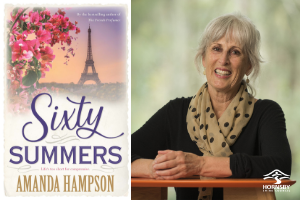 Learn how to experience happiness and satisfaction at any age. This free one hour information session will introduce you to the six factors of positive ageing. The extraordinary true story of the First Fleet girl who became First Lady of the colony. Aged 16, Esther stood trial at the Old Bailey for stealing lace – a crime that warranted execution. Her sentence was transmuted to transportation to the other side of the world. There she became the servant and, in time, the lover of first lieutenant George Johnston. As leader of the Rum Rebellion against Governor Bligh, George Johnston became Lieutenant-Governor of NSW, making Esther First Lady. Grant Edwards is a man who has given his absolute all in the line of duty – and in the process was pushed to the brink of his own physical and emotional endurance. The Strong Man is a powerful account of how a courageous decision shaped the Australian Federal Police Force’s approach to dealing with mental illness. Paul Di Michiel, The Career Medic and author of 'Fired to Hired, The Guide to Effective Job Search for the Over 40s' will be speaking about practical job search tips for mature workers who may have been impacted by job loss, or they may be in a job they don’t like and are looking for a change. The world of job search has changed and Paul will provide insight to help you navigate this challenging journey. When faced with having to make funeral arrangements, most people have no prior experience in organising such an event, and little knowledge of what to do. This presentation gives a brief overview on: -Wills and executors -Role of funeral directors -Quotes and costs -Different ways to pay for a funeral – pre-paid, contributory or lump sum -Funeral insurance -Funeral bonds -Savings -Guarantees on goods and services (funeral products) under the Australian Consumer Law. Paul Di Michiel, The Career Medic and author of 'Fired to Hired, The Guide to Effective Job Search for the Over 40s' will teach you how to create a professional LinkedIn profile that will get you noticed by recruiters and large organisations as well as using LinkedIn to stay informed, apply for jobs and to improve your online brand. 2 Day Cryptic Crosswords Workshop: 19 & 26 September Solving cryptic crosswords takes 2 things, patience and some basic understanding of the rules and tricks. Join Ralph Penglis as he unravels the mystery of cryptic crosswords in his 2 day workshop. A fun and practical workshop aimed at beginners and those wanting to revise their basic skills. A theatrical, educational and interactive science show featuring many liquid nitrogen demonstrations by The Crazy Scientist. Composting is a fun and easy way to recycle your garden and kitchen waste. Compost improves your garden soil, saves space in your red or green bin and saves you money. Each attendee will receive a voucher to purchase compost or worm farming equipment at 50% discount rate at the workshop. Bring the whole family and be guided in making a wonderful Gingerbread House for the Christmas table. The cost includes all the materials needed such as house, icing, lollies, silver foil, board and cellophane for wrapping. Great Christmas fun for the whole family.